Babies put a smile on everyone's face. The anticipation and planning begins the day a pregnancy is confirmed. The wonderful world of technology now allows a safe way to take a glimpse at a baby while still inside the womb.  First Impression will offer a serene and loving environment for expectant parents, grandparents, and friends to marvel at the miracle of life through a 3D/4D experience. We are dedicated to capturing a moment that you can remember forever. Packages can be performed as early as 7 weeks into the pregnancy. Enjoy your session on several big screen TV's around the room. Relax in a room large enough for 10 people to comfortably sit and share in the session. Why 3D/4D versus 2D Ultrasound? 3D Ultrasound affords you the opportunity to see what your baby really looks like. 2D is widely used for diagnostic and does not allow you to see specific features of the face like 3D does. Will I always get a perfect picture of my baby? Our certified sonographers are highly trained in obtaining the best images possible. Every baby scans differently depending on their position, age, and the condition of the mother. We promise to make every attempt to get the greatest image possible. In the event that your baby does not want to "cooperate," we will invite you back for a second visit for the low fee of $25. 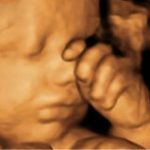 When is the best time to make a 3D/4D Ultrasound appointment? We schedule appointments up to 6 months in advance. It is best to make your appointment as soon as you are sure that you want the service. 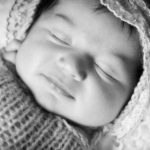 The "best" time to get detailed face pictures is between 23-39 weeks gestation. We start doing gender determination as early as 13.3 weeks. Can I bring family and friends to my appointment? Absolutely! We welcome as many people as you wish to be there. The room seats 8-10 people comfortably. It is also okay to bring your children. We are VERY kid-friendly! Do I need a note from my doctor? We do not require a note from your doctor. You should come prepared to give First Impression the name and phone number of your physician. First Impression reserves the right to confirm your previous prenatal visits. We accept all types of payment. Visa, Mastercard, Discover, American Express, and Cash. The 4th dimension or 4D is an element of time, added to the 3D image of your baby, so in 4D we are able to watch the baby's movements in real time. This is what is recorded on the DVD or the video clip on the CD. The 3D pictures are the still images captured during your session.